Are you chasing deals instead of chasing problems – that is, ways to solve peoples problems? If so, you’ll likely missing out. In this FlipNerd.com Flip Tip, J. Massey shares great advice on how you can build relationships to position yourself the go to problem solver…which in turn will help you find more deals. It’s a great tip…don’t miss it! Mike: Hey. 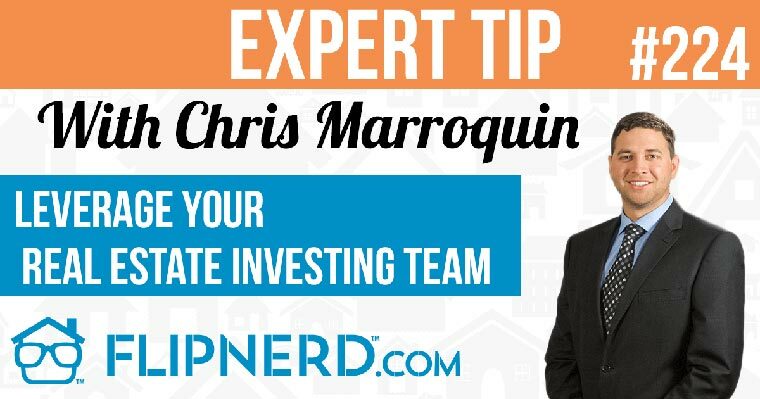 It’s Mike Hambright from Flipnerd.com and we have a quick VIP tip to share with you from J. Massey who’s going to share a tip on the importance of building relationships to find new deals in your business. J. Massey: What it comes down to is often times we are looking for that next killer deal. We can’t find it. We are looking in all the wrong places. I’ve said this before and I’ll say it again. When you’re looking for a deal, you have to chase problems, not properties. When you look for problems then you find the discount and you find that deal of a lifetime. Except you find that deal of a lifetime every time because you are looking for problems. When you become known as that problem solver, guess what? The problems find you. So develop relationships with individuals and organizations that have problems like code enforcement or like the public adjusters. These are the individuals that have problems. Code enforcement is trying to get properties to certain levels. There are some people that they wish didn’t own property. Find out who they are and buy those properties. The public adjusters are chasing fires. Their job is to find the fire. The property is already burnt and some of those people don’t want the property any more. Guess what? What you need to do is go out there and find those public adjusters and let them know you’ll take the burned up property. Here is the killer secret of all. This is how I have attracted many of my investors, many of the houses, and many of the properties. He or she who educates the market dominates the market. I’ve been out there playing the game cash flow 101 with a lot of people across many different states, even internationally and up to a room of 180 people at a time so they can understand that we exist in the marketplace to solve your problem.